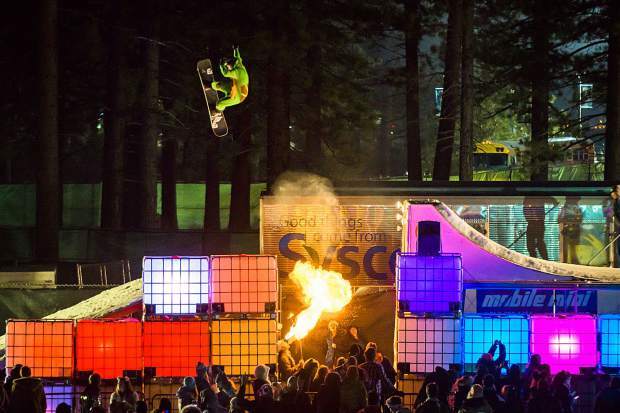 A snowboarder gets big air in a previous SnowGlobe event while a man breaths fire during the jump. 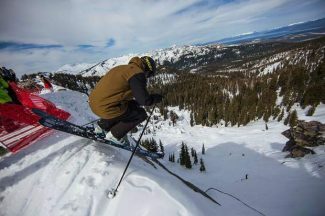 Over a dozen local skiers and snowboarders will drop from an industrial, steel and wood scaffold in the darkness, launch themselves 30 feet in the air, and thrill the crowd for three straight days at the annual SnowGlobe electronic music festival this weekend. 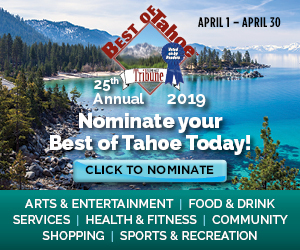 According to a press release from On Course Events, the host of the fifth annual Big Air Exhibition, which started in its first year as a rail jam, local and regional professional and amateur athletes will drop from Lake Tahoe’s largest man-made feature, hit a 25-foot jump covered in snow, and perform a variety of aerobatic tricks including 540s, 720s, corks and a variation of flips, spins and grabs as they fly more than 40 feet in distance. Special Snowglobe lighting is supposed to enhance the visuals. Sierra-at-Tahoe, known for Olympic athletes winning gold medals by getting big air, is a main sponsor. Some of the athletes confirmed to be there are all based in Lake Tahoe except one and they include: skiers Alex Dorszynsky, Zack Steele, Shaggy, Geddy Miller, Max Finn, of Salt Lake City, Ceazar Rodriguez ;and snowboarders Jackie Lyle, Myles Hallen, Leo Trebotich, BJ Linne, Benjamin Wynn, Adam Lechner, Liam Nelligan and Jake Denham. SnowGlobe takes place Dec. 29-31 at the Community Playfields off Al Tahoe Boulevard in South Lake Tahoe.